A setback for Erdoğan in the local elections in Turkey. 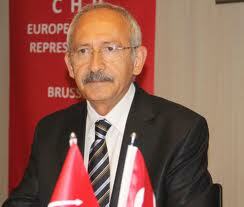 Congratulations to our friends CHP and their leader Kemal Kılıçdaroğlu for the strong results. Congratulations to Mansur Yavaş elected mayor of Ankara and Ekrem İmamoglu in Istanbul. A strong outcome for the PES associated members: CHP won 30% of the vote nationwide and the two most important cities in Turkey, and HDP secured fourth place. The PES is thrilled by the strong results achieved by the Republican People’s Party (Cumhuriyet Halk Partisi, CHP) in the local elections in Turkey and by all the democratic opposition. CHP, an associate member of the PES, won the two most important cities in the country – the capital Ankara, and Istanbul, the biggest city on the continent of Europe. The party is the main opposition to the Erdogan regime, secured 30% of the vote and finished second nationwide, putting in a strong challenge to Erdogan’s AKP, which has 44% of the vote. “I would like to congratulate the CHP (Republican People’s Party) and their leader Kemal Kılıçdaroğlu on this solid result. They fought a strong campaign and are convincing more and more people to back a democratic Turkey. The other PES associate member party from Turkey – HDP Peoples’ Democratic Party (Halklarin Demokratik Partisi) – finished in fourth place nationwide, with 4.2% of the vote. The co-chair of HDP, Selahattin Demirtas, was imprisoned by Turkish authorities in November 2016 and is still awaiting trial, despite the European Court of Human Rights ordering the termination of the unlimited pre-trial detention. The PES has protested the illegal detention on several occasions.